Congratulations to Heather and David! They became the two newest members inducted into our club at the December 7th business meeting! At the September 28th lunch meeting, the new officers were installed for the fiscal year that starts October 1. Newly inducted are Jim Tiedje as President, Maria Levetzow as President-Elect, Rosa Brunsma as Treasurer and Bev Ricketts as Secretary. Thanks to the outgoing board members and of course to our retiring President, J.R. Stradt! What a successful year it was! 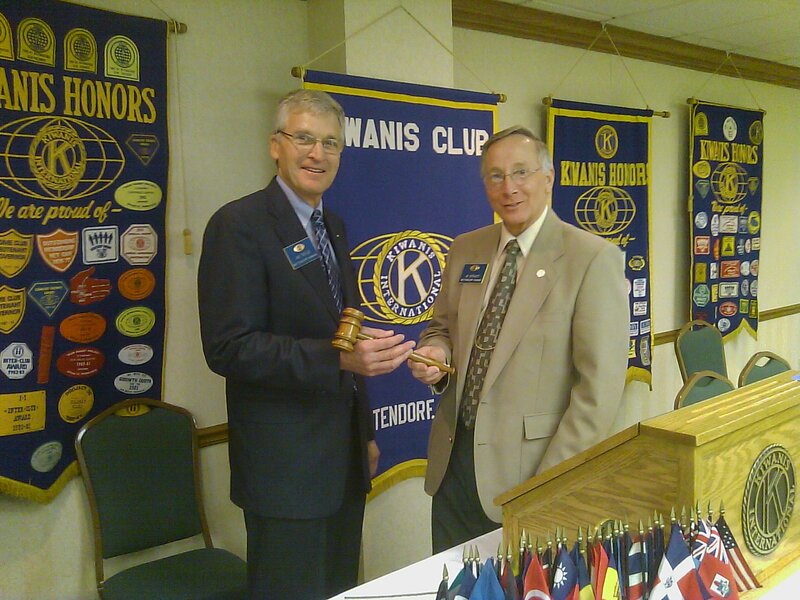 Jim receives the club's gavel from J.R.